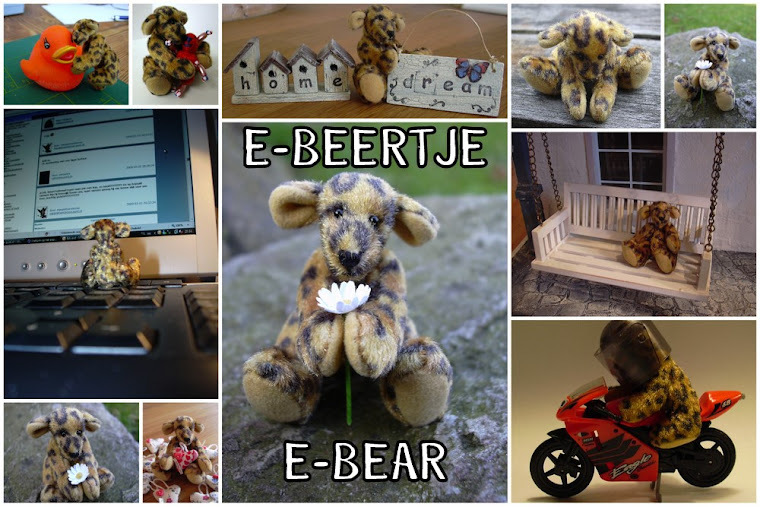 E-beertje / E-bear: Nice catch E-beertje! Yesterday, when I was visiting Marmod, E-beertje did a wonderful catch!!! Nella was also visiting Marmod and she was so wonderful to let me pick out one of her knitted dolls! And didn't he do a great job??? Pearl, the mermaid! And I think he's in love!!! Que preciosa sirenita, debe ser dificilisima de hacer. Great mermaid! E-beertje seems very happy. Ach wat een leuk stelletje!